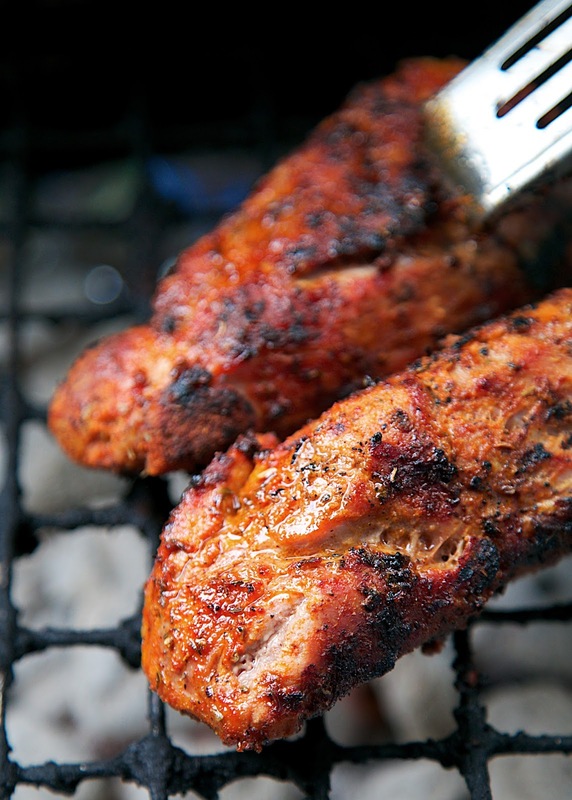 BBQ Pork Tenderloin Recipe - pork tenderloin seasoned with a homemade BBQ rub and grilled. Tasted SO good! Great on its own or on a bun with BBQ sauce! This BBQ Pork Tenderloin was super delicious! Some of the best we've made. This recipe is simple and requires very little prep work. It starts with a homemade BBQ seasoning. I am sure you have all the ingredients in your spice pantry right now. 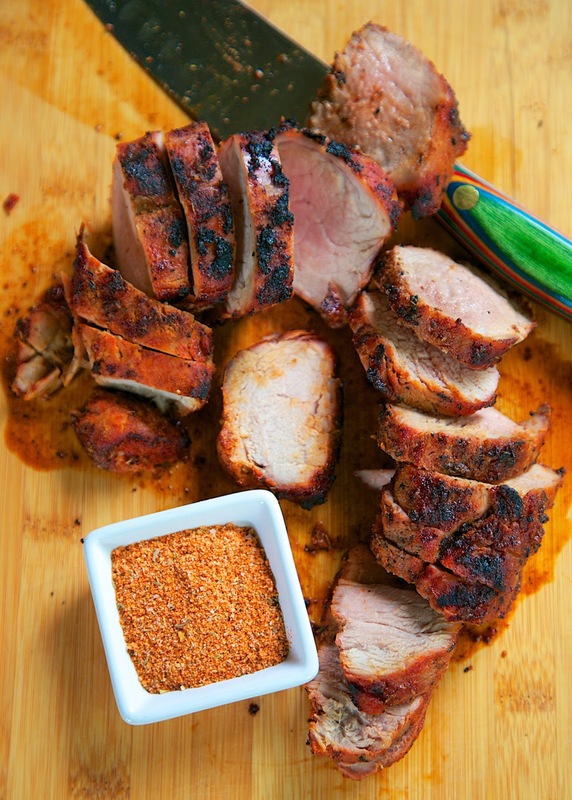 Trim the pork tenderloin and coat it in the spice blend. Let the pork sit while you prep the grill and then get cooking. We thought this was great! The recipe is for two pork tenderloins. We made both and ate leftovers. We ate this with the Ritz Carlton Potato Salad I shared earlier this month. Perfect! This would be great for Father's Day or a Summer BBQ get together. Stir together brown sugar, salt, dry mustard, pepper, oregano and thyme. Set aside. Remove silver skin from pork. Pat dry, rub with olive oil and coat in spice mixture. Let pork stand at room temperature for 30 minutes. Grill pork, 10-12 minutes per side. Remove pork from grill and let sit at room temperature for 5-10 minutes before slicing. I cook mine in the oven all the time. I brown it first in a hot frying pan then bake for about 20 mins in a 375 degree oven. The key to any pork recipe is to forget the cooking time or cooking temp. When internal temp reaches 130 degrees pull it off. Let rest 5 min. You will never have dry pork again!! I loved this recipe and it made great pork tenderloin sandwiches with a wholegrain mustard sauce.